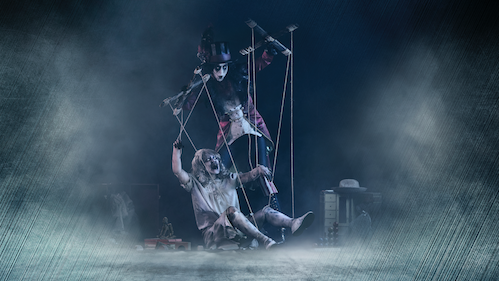 Queen Mary’s Dark Harbor, Southern California’s most authentically terrifying haunt, will once again rise from the depths on September 27, drenched in legend and oozing with a sordid past. Regarded as one of the most haunted places on Earth, the Queen Mary’s Dark Harbor is a thrill-seekers’ delight, blurring the lines of history and hysteria, and for the 2018 season, the event will disorient fans with an entirely NEW park footprint along with NEW maze designs, INTERACTIVE alternate paths, and THRILLING live entertainment. The annual haunt returns to the Queen Mary on September 27 and continues to scare those who dare on select nights through November 2. General Admission ticket prices start at just $20 online with optional limited upgrades to Fast Fright, Evil Express, VIP, Ultimate Scream, Creepy Cabanas, and Private Patios (available while supplies last). Get more information or purchase tickets online HERE.